Tony's Crab Shack is the real deal. You won't get a more authentic Oregon Coast dining experience anywhere else. Since 1989, Tony's Crab Shack has been proudly serving award-winning fish tacos, incredibly fresh seafood, and healthy coastal favorites - always fresh, never deep fried. Ready to try something new? Stop in at Port O'Call to get everything you need to take the family on the docks and catch our legendary Dungeness Crab. We have the rings and boats to rent to make it a perfect outing! You can even bring your catch to Tony's to have it cleaned and cooked! 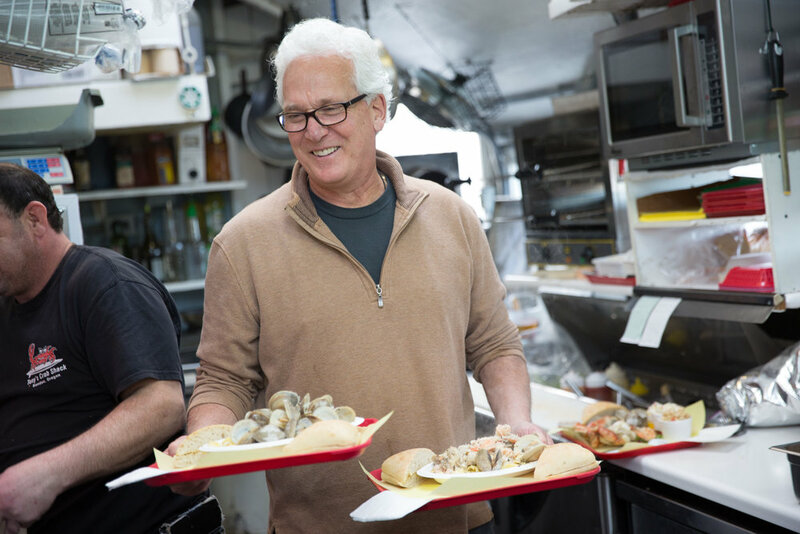 AT TONY’S CRAB SHACK, WE PRIDE OURSELVES ON DELIVERING TO YOU THE FRESHEST FOOD AVAILABLE. Located on the ocean makes that an easy task. We also pride ourselves on excellent customer service. It is our pleasure to serve you. Come to Tony’s Crab Shack on the World Famous Bandon Boardwalk and enjoy the fresh seafood and salt air. We'll even cook your catch for you! Tony Roszkowski’s story is one where luck, knack, and grit meet opportunity. He came to Bandon, OR from his hometown of Bayonne, N.J., in 1989 looking for work. When a friend asked him to watch his tackle shop near the pier in Bandon, Roszkowski offered such a slew of ideas about how he would improve things, the owner sold him the place. From there, Tony installed a cooker on the side of the tackle shop and began steaming crabs for tourists. They were the same customers who bought bait and crab rings. Slowly, over the next 15 years, the menu evolved from cold crab cocktail and oysters to Bandon's Famous crab sandwich, grilled halibut, smoked salmon alfredo, fish tacos, and classic coastal dishes. Crabbing rentals, tackle, and gifts. One stop you have to make when visiting the world famous Bandon Boardwalk!